India posse’s vast animal genetic resources with a wide variety of indigenous livestock germ plasma distributed throughout its agro-climatic regions. There are many breeds of each domestic species of livestock. There are 30 breeds of cattle. These breeds have same number of chromosome, their shape, size and quantity and interbreeding animals with similar reproductive behavior. Breed is a group of animals of the same species which belong together because they have the same origin, share certain physical, physiological characteristics and are of commercial value. Madhya Pradesh is one of the largest city of country with great biodiversity of livestock. In Madhya Pradesh most of the cattle breeds are of nondescript type, but few important breeds of cattle found are Nimari, Malvi, Gaolao and Kenkatha. Gaolao is a dual purpose breed reared for draught mainly for fast transportation and milk production. 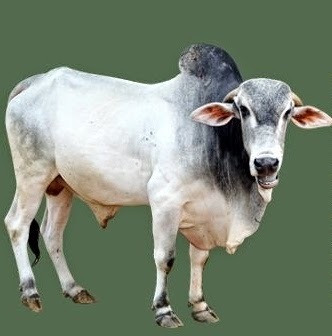 This breed is found in Balaghat, Chhindwara, Rajnandgoan and Seoni districts of Madhya Pradesh, Durg district of Madhya Pradesh and Wardha district of Maharastra. The average age at maturity and age at first calving were 41 and 53 months respectively. The average service period and calving interval were 192 and 485 days respectively. The average gestation period recorded was 287 days. Gaolao cows are fair milkers. The average daily milk yield and lactation milk yield were 2.9 and 540 kgs respectively. The average lactation and dry period were 198 and 284 days respectively. 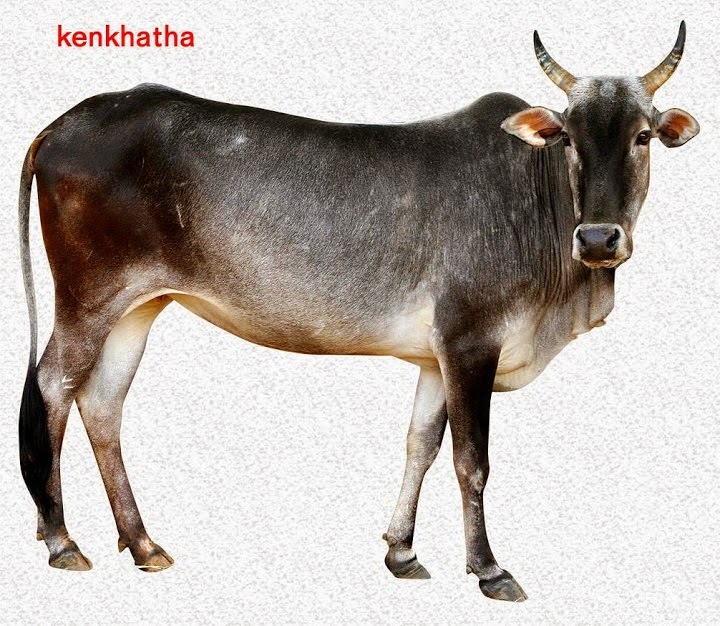 Kenkatha or Kenwariya is a well-known draught cattle breed of Bundelkhand region, which covers parts of both Madhya Pradesh as well as Uttar Pradesh along Ken River. In Madhya Pradesh, the breed is found in three districts i.e. Chhatarpur, Panna and Tikamgarh. The cows are poor milk producers, the bullocks are well known for their draught capacity. Kenwariya animals are very popular for light draft on road and for cultivation. They are observed to thrive on poor feed. On account of the hilly nature of the region and the poor grazing, only animals which can cover long distances and have strong feet can thrive under such rigorous conditions. 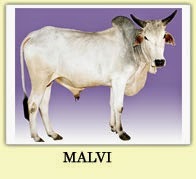 Animals of Malvi breed are medium sized, strong and robust. The body has been observed as compact, squarely built and not massive, with well proportionate limbs. The animals had a fine bearing and intelligent look. The body color varied from white to gray or gray iron-gray color was also found. Cows and bullocks were comparatively lighter in color than the bulls. Muzzle and eyelids were black in color. Malvi animals were having medium hump and medium thin dewlap. The average age at maturity and age at first calving were 40 and 49 months respectively. The average service period and calving interval were 116 and 402 days respectively. The average gestation period recorded was 271 days. The average daily milk yield and lactation milk yield were 2.55 and 916 kgs respectively. The average lactation and dry period were 260 and 151 days respectively. This breed is originated from West Nimar tract of the Madhya Pradesh. It is believed to be originated from the cross of Gir and Khillari breeds along the Narmada valley round Maheshwar and Barwani region. 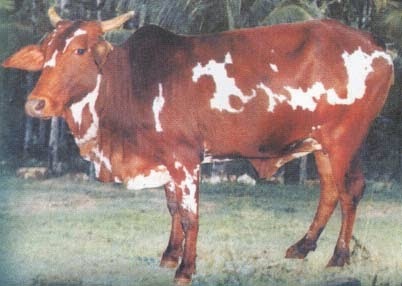 The Nimari cattle was brownish red (copper color) and white giving spotted appearance. Due to spots or patches they are also called as Chitkabri in local Nimari language. Nimari animal had a long and somewhat narrow head above the nostril region. In Majority of the animals had a bulging forehead. Horns were generally medium size having pinkish brown color. Horn emerged in a backward direction, later they turn upward, outward and finally inward. Eye canthus was pink in color. The average age at maturity and age at first calving were 44 and 54 months respectively. The average service period and calving interval were 235 and 552 days respectively. The average gestation period recorded was 271 days. The average daily milk yield and lactation milk yield were 2.50 and 804 kg respectively. The average lactation and dry period were 298 and 221 days respectively.